Aaaand how was your weekend? Mine did not involve 4th of July fireworks, but it did involve wine, which is kind of the same thing. 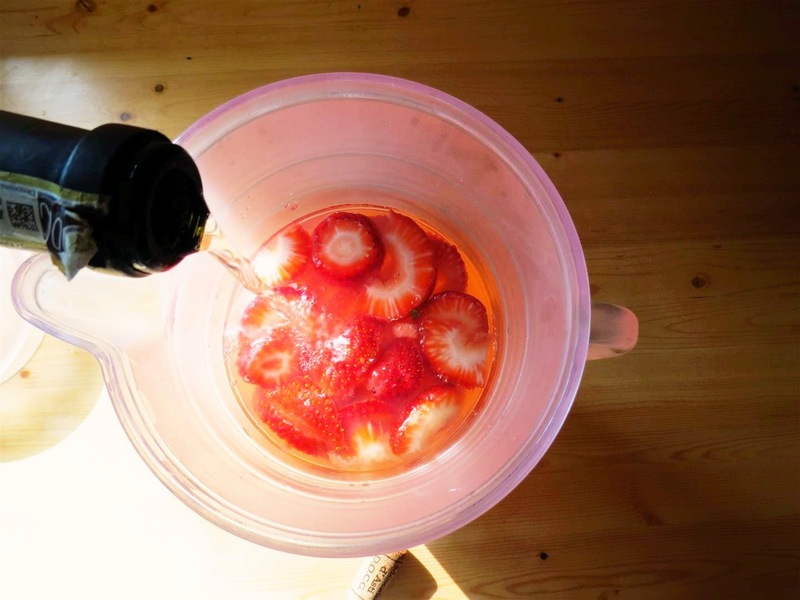 My husband’s parents came over for dinner on the 4th, and I made strawberry moscato lemonade. I saw the idea on Pinterest (of course) but didn’t care for the actual recipe. So. Toss it all out and start over, right? Right. I would go into the whole blather about how good it tastes and all that, but let’s be honest here – on an 80-something degree day, it’s cold. It’s wet. And there’s alcohol in it, but not enough to make you pass out with your dress over your head before 8 pm. Are we good? We’re good. Let’s make some, shall we? 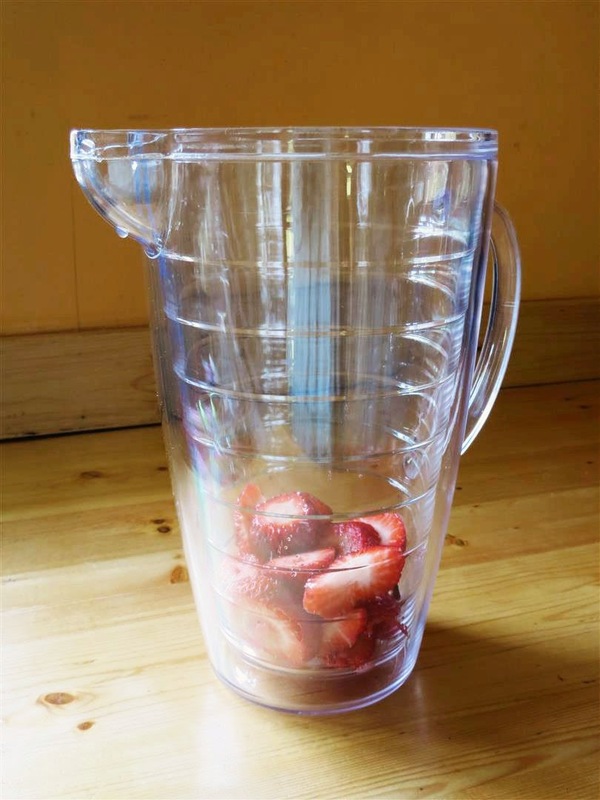 A handful of strawberries go into a pitcher. Then lemonade goes in – about 2/3 full. I used a lemonade mix. Homemade lemonade is for suckers. 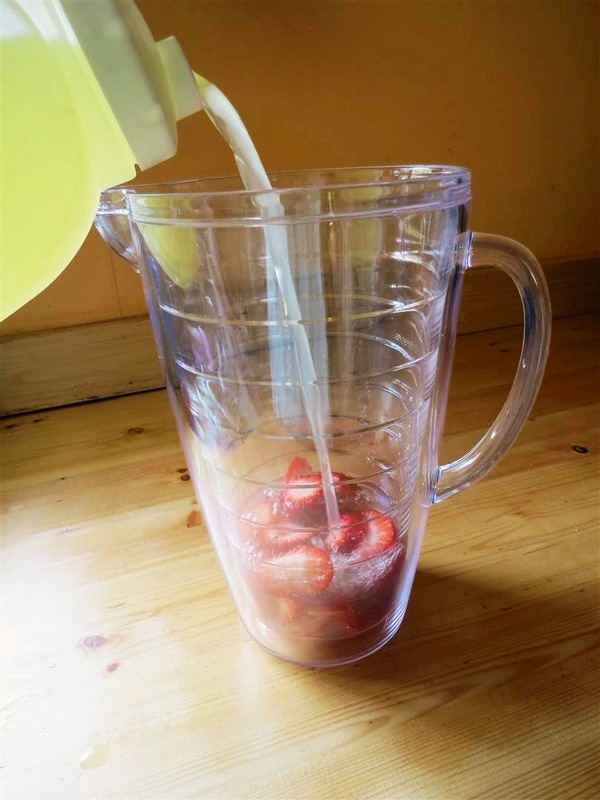 I let this sit in the fridge for a few hours to let the flavor of the berries mix with the lemonade. Smushing them a bit would help this along. Just before serving, add the vino ! I like an Italian moscato. 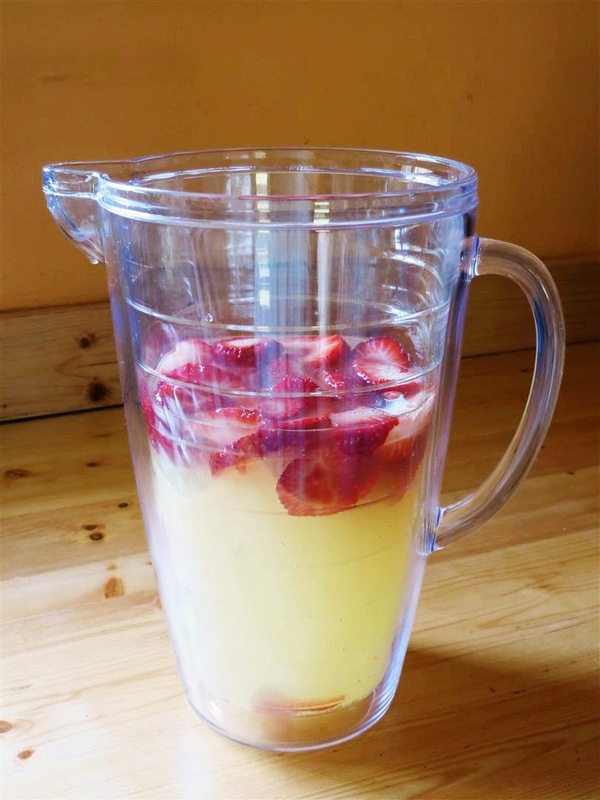 This makes a fairly sweet drink – if you want it more tangy, use less wine.